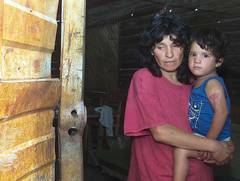 In Latin America, it is not possible to reflect on God's grace without thinking about the disgraceful situation faced by millions across the region. 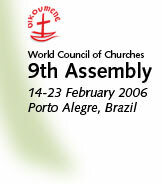 It was the Latin American Churches that first suggested divine grace as a theme for the 9th Assembly of the World Council of Churches. In the following article, a Latin American theologian reflects on what it means to pray "God in your grace, transform the world" in Latin America today. Paradoxically, when we speak of grace we must also speak of sin. And in Latin America, talking about sin not only involves the personal dimension but above all, its social dimension: injustice, violence, wars. In Latin America, it is not possible to reflect on grace without thinking about the disgraceful situation faced by millions across the region on a daily basis: economic, social, cultural and spiritual misery. Today the Christian concept of grace is challenged by a context of social inequality and a lack of human dignity, both of which are signs of structural sin. In our world today it is apparently not enough to be human. In order to "be someone" in the eyes of the world people must have many merits. These are above all economic: a high salary, a nice house and more than one car. People who do not meet this minimum standard are not considered "people", they are not important. In this context, the Christian message about grace restores the human being. It reminds them of their place in the world as a son and daughter of God, created in the image and likeness of God. For the poor and discriminated, for those not considered people in our society, this is good news. In a context where the excluded, the non-person abounds, the experience of grace makes people visible, it gives them back their dignity. Today, more than ever it is necessary to underline the close relationship between God's grace, "image of God", and human dignity. When we experience God's grace we feel like sons and daughters of God, the image of God is restored and the dignity of the person reappears. This is not only valid for each of us personally but also for the other. When we recognize God's grace in someone else, we also recognize their human dignity. Grace is not only experienced passively. Grace is a gift that invites us to radiate it from our spirit, mind and body, to manifest it through our attitudes and practices and not just through what we say. Grace is not limited to emotions or fleeting moods, but profoundly transforms and renews our conscience, our body and the very way we live. What is the message of God's grace for those who have power, status and wealth? To those who rarely doubt their dignity and power, grace reminds them that all human beings are sinners, that their complicity with sin creates inequalities. However, it also reminds them of the opportunity that we all have to accept God's grace that transforms and is freely offered thanks to God's mercy. To understand that all human beings may receive grace as a gift and, by so doing, reflect God's lineage in the here and now, can lead to mutual respect and open up paths to overcome inequalities and discrimination in society and the church. The effectiveness of grace, like faith, is measured by our way of being, our honesty, our transparency, the solidarity that marks our life-style. God's grace must be radiated and shared. If God extends grace towards us then we are also expected to act in a similar fashion towards our brothers and sisters who feel abandoned to the misfortunes of the world. It is not easy to live according to the gospel of Jesus Christ. One of the biggest challenges is to do so in the face of a religious ideology that has no place for grace. Commercial religiosity - present in institutions, the media and in some churches - is incapable of understanding that grace is a gift, that it is not something that can be purchased. Grace does not fit in a consumer society marked by rivalry, where we step on each other in order to survive. When we pray "God, in your grace, transform the world", we who have experienced divine grace manifest our readiness to bear a message that can transform a world that does not know grace or mercy. (*) Elsa Tamez, a Mexican theologian and biblical scholar, is translations consultant for the United Bible Societies; she is also professor at the Latin American Biblical University and member of the Ecumenical Department of Research, both in San José, Costa Rica. Among other books she has published The Amnesty of Grace: Justification by faith from a Latin American perspective, and Bible of the oppressed.